The stage of the Bord Gais Energy Theatre is awash with dry ice. Its four inhabitants are dressed in black, with only the shock of blue eye make-up on the lead singer reflecting the flashing white lights. The man behind the make-up, and underneath a baseball cap and beard, is John Grant, whose razor sharp lyrics and sonorous baritone have brought a sizeable Dublin crowd to its feet. In a night brimmed with pulsating beats, the former Czars frontman gyrates his hips and stares menacingly out from behind his glam rock make-up. His moves, the voice, the beard, the make-up, the hat – Grant is like a trucker David Bowie, and soon the audience is jumping on board for the ride. His musical journey post-Czars is fully explored in a two hour set, from his acoustic tinged debut Queen of Denmark, through to the danceable electronica that has characterised his last two releases. Grant is always entertaining company, and he is one of the very few modern songwriters with a sense of humour. His lyrics are cutting, wry and often poignant, and are delivered in a voice that is stronger now than ever. Opening track Tempest ably sets the scene, its images of computer games a perfect match for the pulsing electronica. Following up with the marvellous Grey Tickles, Black Pressure, we are in vintage Grant territory. “There are children who have cancer, so all bets are off because I can’t compete with that,” he croons heroically. Although touring last year’s Love Is Magic, the set is nicely shaded between old and new but it is the opener of his latest LP, Metamorphosis, that is the set highlight. Slashing electronic chords burst from the speakers as Grant maniacly rants about yeast infections, ISIS and gravy. It’s as strange as anything that has ever graced the stage of the Grand Canal Theatre. And therein lies my only gripe. The venue. It is lovely indeed, but not well suited to music that is beyond the tempo of Swan Lake. It is a terribly polite and restrained space, and by the end of the show the pent up energy of the audience is palpable. Some relief is had when we are encouraged to wave our arms about during GMF, clearly his most popular song. And the feeling in the room is joyful, even as Grant regails us with an anecdote about an old friend’s suicide. 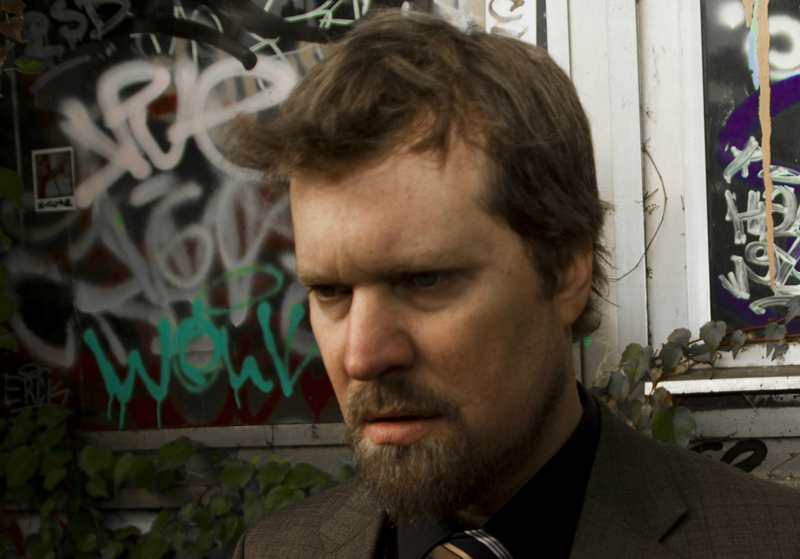 But that says a lot about John Grant – he is very much his own man and writes funny, thought-provoking songs about miserable things. I can only imagine that if David Bowie had been a trucker he would have done the same.